The Maine Boatbuilders Show was fantastic as always. The booth is always humming nearly the whole show with people learning about the boats, how they can build one or get one custom built in the shop, what is included in a boat kit, and al the ins and outs of these great small boats. An Echo Bay Dory Skiff for a customer in Virginia. 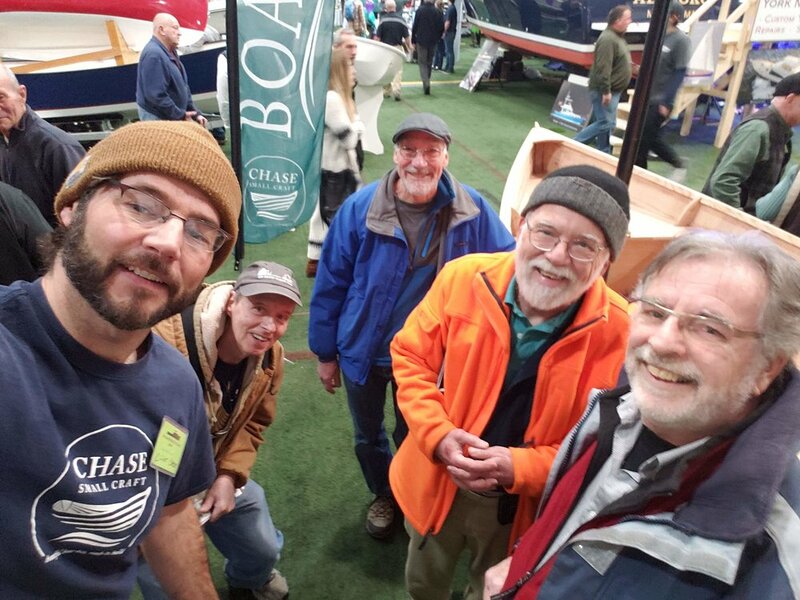 t is especially nice to see customers, old and new, and connect about their boats and projects. I will say this, it often is about the boats. The careful design, the exact cutting, the high quality materials, and the constant efforts to make the boats better and better over the years. But moreover it is about people and it is about joy. The people who make their dreams a reality and the joy they get both in the journey there and the result: a beautiful boat that will offer adventure and memories for the rest of their lives. (right to left) A new collaborator from Quebec, the owner of Jewell number 1, and two KDI builders. Two sponsors of the Calendar Islands 18 design project and boatbuilder/teaching colleague from WoodenBoat. There are still 3 spaces! Register at the School's website. 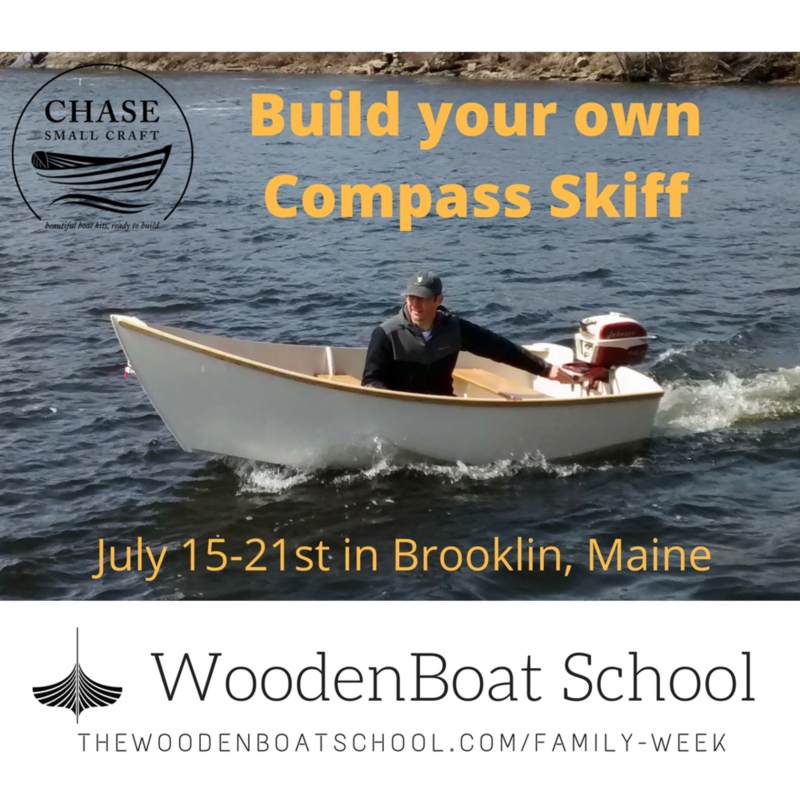 In one week, you can build this 10-foot outboard skiff with your family in the most beautiful, fun setting, in Brooklin, Maine, home of WoodenBoat. 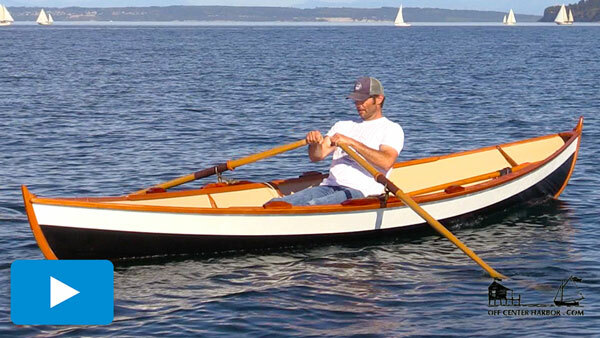 Jim wnated an upgrade from his Northeaster Dory, something bigger and more substantial but light. He launched his CIY and was really impressed with it. His boat will be a contestant in the Conours d' Elegance and on display in our booth at the WoodenBoat Show coming up in two weeks in Mystic. George Costakis in Washington State just launched his Drake 19. He'll be racing in the Seventy48 with is son. They are rowing tandem and plan to use the boat later for cruising the beautiful waters out there. I take a huge amount of pride in the instruction manuals that I write for my boats. It takes an enormous amount of time to accumulate the feedback, photos, and trials required to make a great manual. Mine are always being revised and so I have made them "live" in the cloud. A great way to use them is to read them right off the shared folder that you will receive and open them on your iPad, laptop, or desktop. You will always see the most current version. A live manual like this will also enable the use of slideshows and videos embedded in the manual itself. See more of our tips here. Nate Rooks is going to have a great race on June 11th. It is the first annual Seventy48, a 2-day, 70-miler that goes from Tacoma and finishes in Port Townsend. I love this shot snapped by his brother while Nate was doing a training run 'round Bainbridge Island. Talking with a potential customer for a Drake 19 recently brought up a common question. Do I have the skills to build from plans? And, Should I build from plans or from a kit? To build from plans, the primary skills needed are plans reading and problem solving skills, or put another way, you have to figure things out on your own. Chase Small Craft plans have a ton of information, but there is no manual for how to read the plans and extract the info needed to make parts, set up the boat, and so on. I provide full size patterns for most of the parts, which allows the builder to transfer the shapes to wood and cut out, saving some measurement and layout time, but it still means there is a lot of cutting involved. Plans builders do have access to the information supplied to kit builders, so they do have a manual and timber list to assist them. And I am only a phone call away if they have questions. The pank layout for the Drake 19 showing the precut planks with NC Scarfs above and the layout-by-hand measurements below. There are 42 measurements per plank that a plans builder would need to layout. the strongback is part of the kit and everything jigs and interlocks together. The Drake 19 kit set up, this one being built in Oregon currently. You can follow his progress on the Google album linked to here. These are the perks for building with a precut plywood kit. We haven't even begun discussing the advantages of a complete kit! The guys from Off Center Harbor produce some wonderful videos for all of us. They do it well, are gracious, and support my work. Please consider supporting them with a membership and get in return a wealth of wonderful knowledge and good vibes through their beautiful craftsmanship online. You can click here to watch the full video about this boat on OffCenterHarbor.com, and please consider supporting their good work with a membership. Likewise, the good folks at Small Boats Monthly know their stuff and share it every month with us online. Another membership based site, they covered the prototype of the Drake Raceboat this past September. Consider supporting them as well and see a preview of the article their website.